If you want a great tasting side dish cooked slowly, you need to make your ratatouille in a crockpot. When you are making ratatouille, you usually cut the vegetables rather small. This allows you to serve it as a side dish or as an appetizer if used to fill a lavash cup. But when cooking your ratatouille in a crockpot, you can also just slice the vegetables. The slow cooking of the crockpot will make your ratatouille very tender and flavorful without having to cut everything into cubes and sautéing them first. If you feel the urge to, you can cut the vegetables into 1/2 inch cubes and pop them into your crockpot. Starting with the onions, layer the vegetables into your crockpot only using half of the amount you have. Add the herbs, spices, and the tomato paste. Layer the remaining vegetables into your crockpot. Cover the vegetables with the olive oil. Cook on low for between 7 to 9 hours. This recipe for ratatouille in a crockpot can be chopped up and served as a standard ratatouille or you can use the vegetables in any way you like, maybe served as a vegetarian main dish or as a topping for a roasted vegetable primavera style pasta dish. 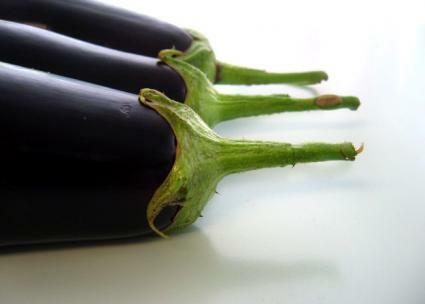 These great tasting vegetables can be served hot or cold and even used to make vegetarian pizza. In the case of the vegetarian pizza, I would use a nice pesto as the sauce rather than the standard red tomato sauce.